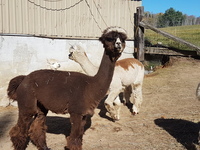 Alpacas are sheared on an ANNUAL basis. This is called the FIBRE HARVEST time. 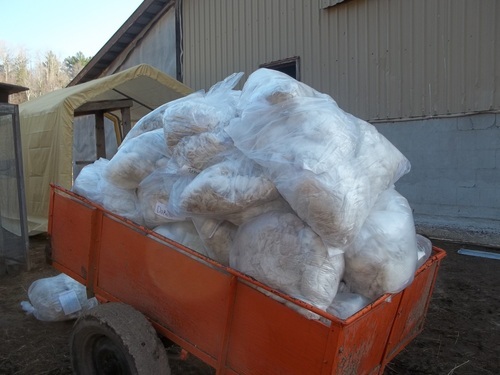 This is the first step in the process of creating alpaca products made of this awesome fleece. 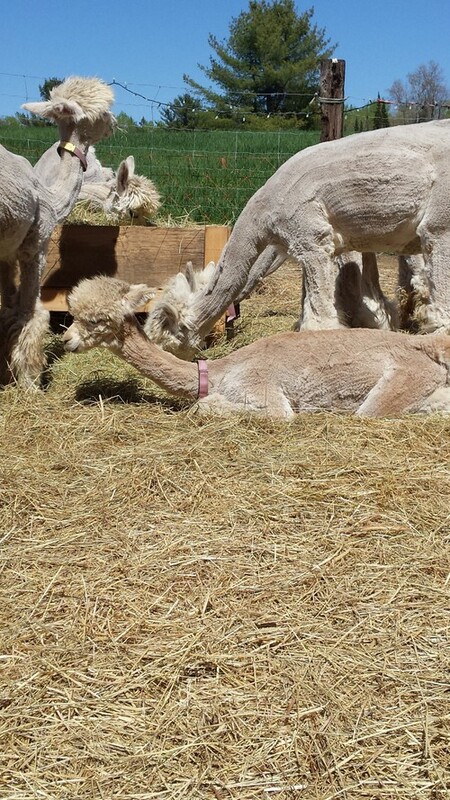 Here at Dare 2 Dream Alpaca Farm, we invite the public to come and see what this important HARVEST consist of. We are opening our doors to the public once again for a weekend and encourage everyone to come see how we shear alpacas and what we do to prepare the fibre once removed from the animal. 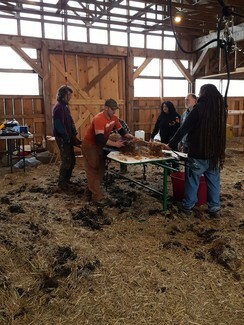 The 2019 shearing weekend is MAY 4th & 5th (Saturday & Sunday) . Keep in mind that shearing is done in the barn, therefore proper footwear is necessary. We do our best to clean all 'public' traffic area within the barn yard, but there are no guarantee that we haven't miss a spot or two. You will also need to dress for the occasion. It could be a tad chilly, so please dress warm; the barn is not heated. We also do all that we can to keep everyone safe. You will be able to see the alpacas before and after shearing; you will be guided through the process by the 'shearing team'. Your questions will be answered by us to the best of our knowledge. Our goal is to make this a pleasant experience for everyone and provide general knowledge to the public. 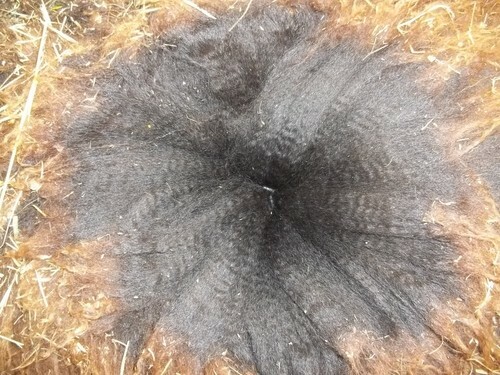 We hope to provide you with some understanding of what makes this fleece/fibre so unique and ideal for our northern climate. If you have any questions, please do not hesitate to reach out to us via email, text or phone call.